waterdamagerepairsanfrancisco.comBlogMoldHow to Recognize the Presence of Mold? Concerns about human health often occur under the influence of mold, especially in the case of immunodeficiency or existing respiratory diseases. Thus, in the case of the first symptoms of an allergic reaction or toxic poisoning, the owner of the apartment must use all methods of disinfection for detection and disposal of mold to remove the harmful fungus from the apartment. In this review you will find all the necessary information how to recognize the presence of mold in your home. How to find mold in your apartment? There are about 100,000 kinds of mold that come in different shapes and sizes, and some of them produce myco toxins. The most common form of mold is the greenish-black fungus, which belongs to the species Stachybotrys. It grows on decomposing organic substances and is often found in apartments with poor air quality inside the rooms. 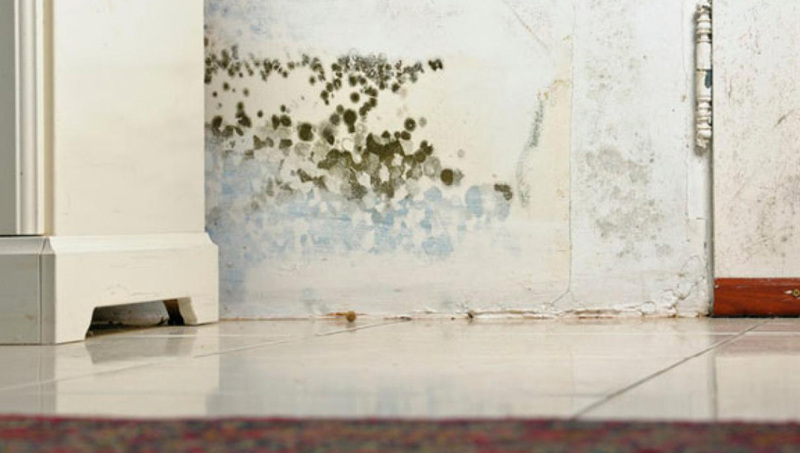 As a rule, mold can be found in damp rooms and affected by water. The effect of mold on human health can vary depending on the individual sensitivity of the person and the amount of mold spores in the air. If the apartment has mold on the walls, it not only destroys the interior, but also poses a threat to health. People with a weakened immune system or pre-existing respiratory diseases are at increased risk. Therefore it is very important that you know how to remove the mold from the walls and withdraw it in the shortest possible time. The black-green color of this fungus makes it striking. The presence of mold is also distinguished by the specific smell of mold. If the apartment has running faucets, leaking pipes and other forms of water leakage, they become invitational to mold. Rooms with high humidity are prone to fungus development, so cellars, water-damaged rooms, kitchen, bathroom and pipe boxes suffer most often. And while you are able to detect mold growing in the field of vision, it can also develop in hard-to-reach places that you can not look into. The best solution will be the use of kits for analyzing air on mold, which will help to identify the infection in the apartment. These kits contain mold test filters that help in determining the relative level of mold spores in the air and are applied to each room separately. In the event that the mold grows inside a pipe box or there is a hidden water leak somewhere, you may not know about it, but the test will help you identify the problem. You will also need a testing laboratory that can take readings of such kits and recognize mold. Any mold should be removed in a very short time due to the potential health risk. According to the conclusions of the Sanitary and Epidemiological Station, the health risks associated with mold should be treated similarly to other forms of parasitic infection. If the mildew threat does not seem to be serious enough, you should know that in some cases it caused pulmonary bleeding and memory loss. However, exposure to black mold can be particularly problematic for people who suffer from allergies, asthma, sinusitis, respiratory problems, etc. Some studies indicate that earlier exposure to mold can cause asthma in children genetically predisposed to asthma. When the presence of mold on the walls is not detected in time and continues to develop, fungal mold can create organic compounds. When residents of an apartment come into contact with these organic compounds, the result can be hay fever, a number of allergic symptoms and respiratory diseases, especially in the case of immunodeficiency. Symptoms such as a runny nose, cough, sore throat, and sneezing can cause inflammation of the mucous membranes. If someone in the family exhibits these symptoms, you need to carry out preventive disinfection, using tests to detect mold in the air, or call specialists to search for and eliminate the fungus. If the tests show infection, use appropriate methods of disinfection in combating the fungus. In addition, make sure that the house remains clean and dry, and all precautions are properly followed to prevent infection in the future. Mold can grow in the bathroom, in the shower and in the corners, especially if there is insufficient ventilation. Mold can stick to shoes, pets, clothes, carpets, furniture, books and papers. Mold can circulate in the ventilation system, especially if you rarely change the filters. Why do molds appear in the house? High air humidity. If the level of humidity in your house is markedly increased, then the appearance of mold will not have to wait long. Moisture is a prerequisite for the development of mold fungi, which is why they are so often found in the kitchen, in the bathroom and in the toilet. Poor ventilation. Do you have a kitchen hood installed and no ventilation in the bathroom? If you do not remove the accumulating moisture in these rooms in a timely manner, the mold will very soon reach there. Under cooling of walls. Because of the severe frosts, the walls of many apartment and private houses freeze to such an extent that condensation begins to form on their inner side. This phenomenon occurs because of poor thermal insulation of the walls. Mold under the wallpaper in this case is an inevitable companion. A large number of spoiled products. If you do not throw out hardened bread in time and do not take out garbage from the house, the mold will quickly conquer the territory near you. Fighting mold is not an easy task. It is impossible to completely neutralize mold fungi, since their spores, in large or small numbers, are constantly around us. However, we should restrain the growth and development of mold, protecting ourselves from the harm that it can do to our health.